U.S. car buyers have increasingly ignored passenger sedans and hatchbacks and replaced them with utility vehicles of various sorts, and that's a trend that shows no sign of abating. One reason is that crossovers and SUVs now get better fuel economy than they did 10 years ago, when owning one imposed a significant hit in gasoline costs every week. Gasoline has stayed cheap, and so light utility vehicles are eating significantly into sales of sedans. Even crossover buyers, however, may not realize how large a part of the U.S. vehicle market full-size pickup trucks represent. 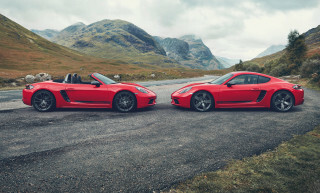 They comprise more than 2 million of the 17.5 million new vehicles sold last year, with mid-size pickups adding several hundred thousand more units on top of that. And those large trucks drive outsize profits, especially for the Detroit Three: General Motors, Ford, and Fiat Chrysler. Sales-weighted fuel economy of new vehicles in the U.S. has now been stalled at 25 mpg for four years. 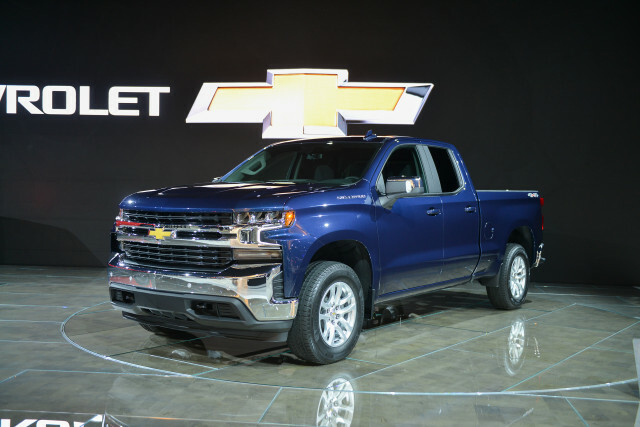 With Chevrolet and Ram debuting new generations of their full-size pickups at last week's Detroit auto show, each of the three Detroit makers is touting better fuel efficiency from their highly profitable behemoths. All three light-duty full-size pickups will offer diesel engine options for 2019—Ram pioneered its EcoDiesel back in 2014—and they use numerous tricks to boost EPA ratings. 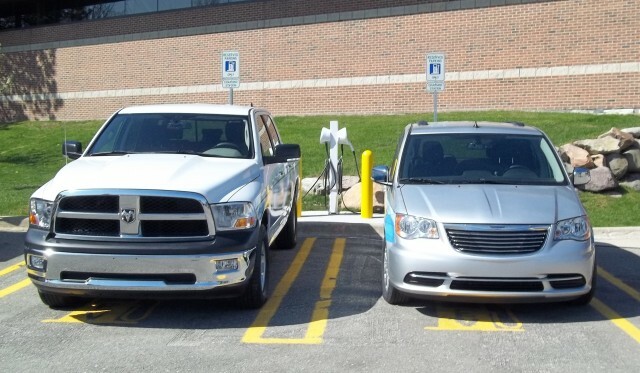 VOTE HERE: Take our new Twitter poll: What percent of US full-size pickup trucks will plug in by 2025? But that's today; how should pickup trucks become radically more energy-efficient over the next decade or two, presuming their share of the U.S. market doesn't appreciably change? 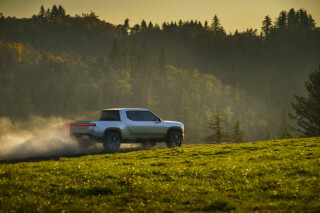 We surveyed our Twitter followers on that question, asking them what green-powertrain technology they felt would best suit the pickup trucks they expect in model year 2030. That's really just 10 years away, in product-development terms, and the results pretty much confirmed our expectations of such a survey. What green tech best suits pickup trucks in 2030? It's all about the plugs for the participants in our poll, apparently. 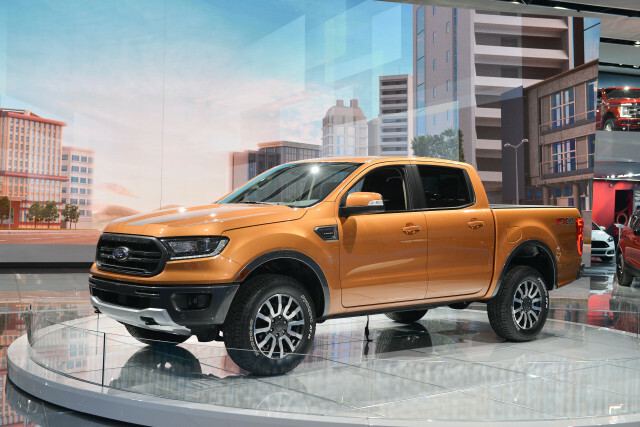 More than half the respondents (57 percent) suggested that battery-electric powertrains would be the most appropriate way to power a full-size pickup truck by 2030. 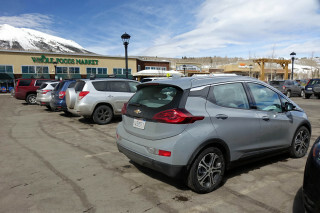 Another 23 percent opted for plug-in hybrid technology, meaning four out of every five poll participants think plugging in a pickup will be the norm just 10 years hence. Note that while a handful of small and startup companies offer pickups of various sizes with plugs, not a single maker who now sells full-size pickups has done so. Those makers, for the record, are Chevrolet, Ford, GMC, Nissan, Ram, and Toyota. As for the other two powertrains for 2030, a sizable 14 percent of poll participants opted for hydrogen fuel cells as the emission-reduction technology of choice. A mere 6 percent said more fuel-efficient gasoline engines were the way to go. We might suggest that number will actually be considerably higher, even in 2030, but the survey in essence asked what participants thought ought to happen, and there you have it. As always, please note that our Twitter polls are far from scientifically valid, due to small sample size and self-selection by those who choose to participate.